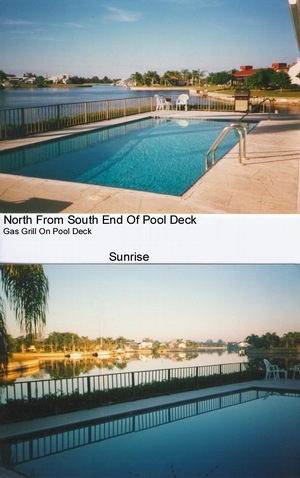 Penned “The Sunshine State” Florida is defined by the power of the warming sun all year round. Everything you can ask for in a family vacation is here, from the world-renowned Disney theme parks in the Orlando area to affordable attractions in every corner of the state, but one thing for sure is that Florida vacation rentals place you conveniently close to the action. The best way to experience Florida is to feel like you live there, and Florida condo rentals enable true relaxation while you can set out anytime for adventure no matter where you stay. No doubt Florida is the ideal destination for families with kids. The first place that usually comes to mind is Orlando, right in the center of the state. The Disney theme parks should be experienced by everyone at least once in their lives, and are a hotbed for Florida VRBO properties. Enjoy the themed rides, hit a thrill park, or dine out at a fine restaurant. Make food in the kitchen after a long day at Florida vacation rentals. On the other end of the spectrum are places like Pensacola and Fort Walton Beach, where relaxation is the name of the game. Sanibel Island is another restful destination. If you love the beach and the family thrives on beach vacations, Florida is the place to go. The state is surrounded by some of the best beaches in the world. Both on the Atlantic Ocean and the Gulf of Mexico, you can choose FL vacation rentals close to the water so you never have to travel far. Coastal resorts, beach towns, barrier islands, and inland waterways are so prevalent that choosing where to go is the hardest part. Just lie on the sand, or hit the water in a peaceful cruise or speed up the adventure in a jet ski or motorboat. Florida vacation rentals heighten the experience with convenience and likely, affordability, especially when you compare the amenities and comfort to hotel and motel rooms. Experience history in Florida at St. Augustine, which is the oldest city settled by Europeans in the United States, or visit the heart of United States space exploration at Kennedy Space Center. Head down to the Florida Keys for the ultimate domestic tropical experience. The whole family will marvel at the view from the ride along the causeway and the unforgettable activity and culture in Key West is something to see rather than believe. The Tampa area including Clearwater and St. Petersburg offer much to do and some of the best beaches near Florida condo rentals. Barrier island towns are far removed from the nearby cities here and the space of the FL vacation rentals will keep everyone refreshed indoors and out no matter where you stay. Florida is a place where so many vacation experiences can be had. The sooner you pick your spot, the better chance you have of speaking with a Florida vacation rentals owner and landing the best option to accommodate the whole family. A getaway in Florida is a special experience; create the most extraordinary itinerary by booking Florida condo rentals to either relax in and base your endless adventures from. Check out nearby Central Atlantic , Central/disney , North Atlantic , North Central , North Gulf Coast , Panhandle , South Atlantic , South Gulf Coast , The Keys .